SAS Nagar/ Mohali: The National Investigation Agency (NIA) of India today sought to shift arrested Scottish Citizen Jagtar Singh Jaggi and others persons out of Punjab. 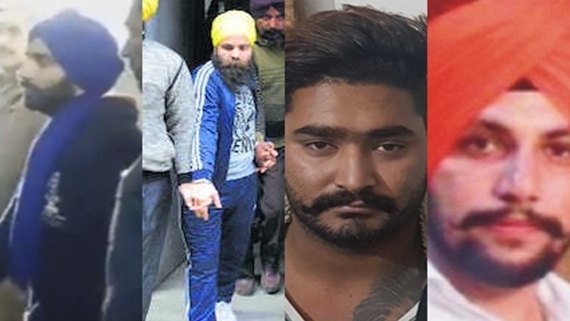 In a plea submitted before the Special NIA Court in Mohali, the NIA sought jail transfer of Jagtar Singh Jaggi, Taljit Singh alias Jimmy Singh, Ramandeep Singh Bagga and Hardeep Singh Shera to Tihar Jail in Delhi. Quartet are booked by the NIA in various killings cases in Punjab. As per NIA’s submission in the court the Bhartiya Janta Party led Central government has issued a notification to this effect and Congress party led Punjab government and Aam Aadmi Party led Delhi government have given their ‘no-objection’ for the said Jail transfers. Talking about it, the defence counsel has termed it a harassment tactic and announced to oppose it as all the cases against Jagtar Singh Jaggi and others are in Punjab only. The plea of the NIA would come up for hearing before the court on February 15, 2017. Meanwhile, the NIA court today heard the arguments on another application moved by the NIA seeking extension of 90 days period to present chargesheets against arrested persons. After hearing arguments of the NIA and the defence, the court of Ms. Anshul Berry fixed February 14 as court date for pronouncing it’s order.